Restaurant chain Buffalo Wild Wings has selected The Martin Agency as its creative agency of record following a formal review. The brand spent about $75 million on ads last year, according to Kantar Media. The selection follows a recent management reshuffling at the chain, which was taken private earlier this year through a deal engineered by Roark Capital valued at $2.9 billion. Roark controls a number of restaurant franchises, including stakes in Arby’s, Auntie Anne’s, Carl’s Jr., Cinnabon, Hardees and others. It has a pending deal to acquire control of the Sonic fast-food chain. 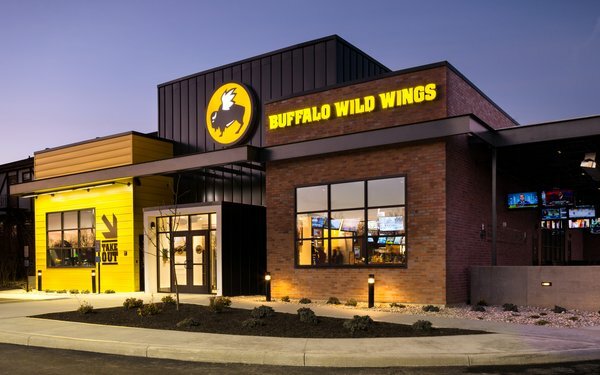 The new senior leadership team at Buffalo Wild Wings includes CMO Seth Freeman and president Lyle Tick, who signed on in August and September, respectively. The client retained Joanne Davis Consulting to help manage the creative review, which followed a media agency assessment that resulted in Mindshare picking up the account from Horizon Media.